Fantastic for projects of all sizes, the Studio Designs Hobby Table offers plenty of space to spread out your supplies and create. Adjust the height of the table from 30-1/4" to 39-1/4" in 1-1/2" increments. 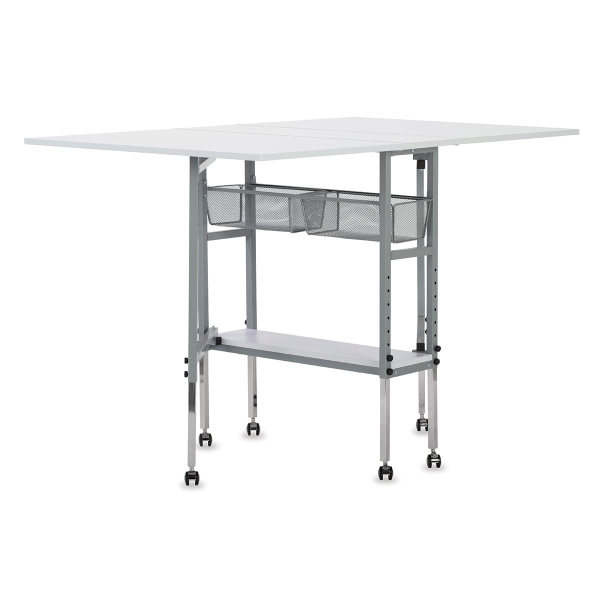 The tabletop is 60"W × 36"D when both folding panels are up. Fold the panels down, and the table measures 12-1/4" wide. Two slide-out mesh drawers and a lower flat shelf provide places to organize and store your supplies. 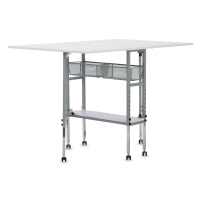 The table rolls on six casters, making it easy to move as needed. 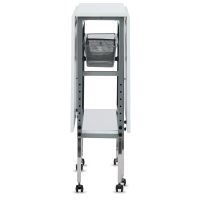 The metal frame is powder-coated for durability. 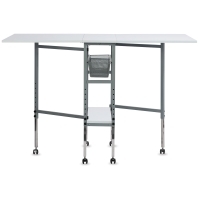 The Studio Designs Hobby Table is backed by a 10-year manufacturer's warranty. Assembly is required.